Splendidly created, the Samsung Galaxy Tab S2 SM T819 Tablet is packed with quality and performance. Samsung SM T819 is here to add innovation to your collection of gadgets. Samsung T819 comes packed with exciting features in a sleek body.It operates on Android 6.0 Marshmallow, which is an efficient mobile operating system, and features a bigger and better 9.7inch touch display. With a variety of built in apps, the tablet is user friendly and easy to operate. Thus, Samsung Tab S2 LTE is here for the tech savvy people and will surely outperform your expectations. The powerful features come packed in a lightweight and sleek design, which provides this tablet a stylish look. Weighing 386g, it feels great in your hands. Moving on, this high-budget tablet comes sports 8MP rear camera, 2.1MP front camera on board. On the connectivity, this tab supports 4G LTE/3G HSPA , Bluetooth 4.1, WiFi 802.11 a/b/g/n/ac (2.4GHz/5GHz) MIMO, Wi-Fi Direct, GPS, GLONASS. These hardware are powered by a 5,870mAh battery. 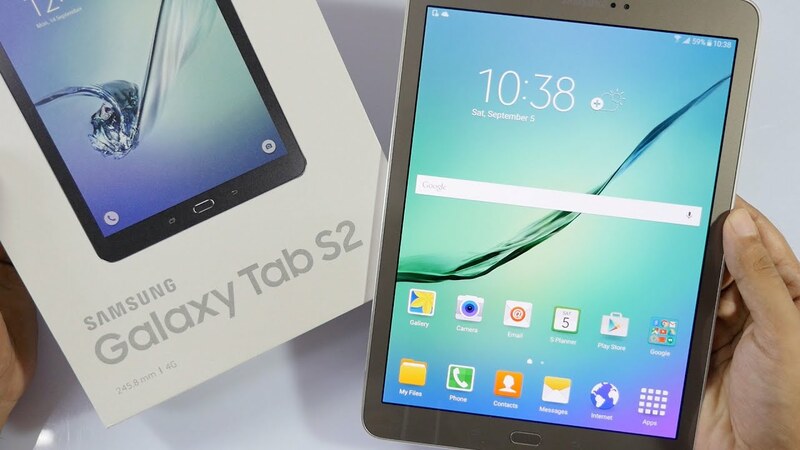 Moreover, the Samsung Galaxy Tab S2 9.7 comes in Gold, Black, White variants and available at a price of Ks. 51,999 at Saruk Digital. The graphics and visuals of the Samsung SM T819 are sure to keep you captivated as the Samsung tablet features a 9.7inch touch screen with a resolution of 1536 x 2048 pixels. It comprises a display type of Color AM OLED and 16.8 million colors, which will not let you miss a thing while watching movies or playing games. The Qualcomm Adreno 510, a superb graphic controller, enhances the display quality and makes the tablet more engaging. The Qualcomm Snapdragon with 1.8GHz Octa Core processor powers the Samsung T819, and a massive 3GB RAM conveys an extraordinary performance while being extremely lag free. The Samsung Galaxy Tab operates on the Android 6.0 Marshmallow operating system, which has a high optimizing memory and improves your touchscreen to react quickly to the inputs given. The internal memory of 32GB is sufficient to store all your important data and multimedia files without any difficulty. The tablet offers an 8MP rear camera with 3264 x 2448 pixels to help you click crystal clear versions of the moments that you plan to cherish for years. The 2.1MP secondary camera enables you to click clear and crisp selfies. The Samsung Galaxy Tablet has a wide f1.9 aperture to capture bright pictures even in low light conditions and add up to 60 percent more light. Snapshots and videos at night too will appear in brilliant quality. Order the Samsung Galaxy Tab today and have it delivered to your doorstep within 1-3 working days or same day delivery within Nairobi. Payment on delivery.